Welcome to the Cascade Foothills Soccer Club Referee's Corner. CFSC is dedicated to improving the quality of our referee’s through training and overseeing the development of referee’s who officiate within the CFSC. Referee games in the Enumclaw area. Referee soccer games on Saturdays. Assign yourself to games that fit your schedule. Earn money for each game officiated. 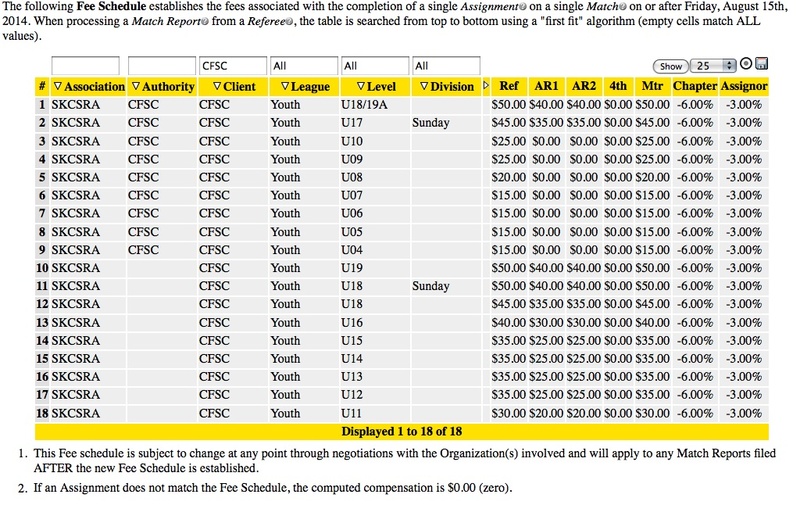 CFSC will be using an on-line service for referees to sign up for games. The service is provided by South King County Referees Association and is easy for referees to access. Below you will find links to the most common referees websites, pages and documents pertaining to refereeing. If you have further questions please contact the referee coordinator.